Blue Palmetto Home Inspections offers affordable well written home inspection reports with lots of photos documenting all areas of concern. Reports are computerized and generally delivered to your inbox within a day after the home inspection. If you're buying a new home in the Charleston Lowcountry, you want an inspector with experience, thoroughness and affordability…. That’s what we deliver here at Blue Palmetto…. all that and peace of mind too. Now it’s time to let yourself relax……. Choose a Local Charleston Home Inspector! The Charleston area is a great place to live!.... Make it an even greater experience by hiring a local inspector who will help you make the right choices on one of your biggest investments. Remember not all inspectors or their reports are the same. Our reports are very thorough. Click the links to the right (or bottom if you're on a mobile device) to learn more about this home inspector or just email or call us. We always have time for you! Blue Palmetto Home Inspection of Summerville serves the entire South Carolina Lowcountry area! The process of buying a new home can be a bit of a mystery to most people. But your home inspection doesn't have to be. When your realtor says that you're ready, call us to schedule. We'll do a great job and deliver an easy to read home inspection report that doesn't leave you guessing. If you live in Summerville, Moncks Corner, Goose Creek, Charleston, James Island, John's Island, Sullivans Island, Daniel Island, Mt. Pleasant, Isle of Palms, Ladson or surrounding areas, give us a call. Check out our Testimonial Page to see more of what our customers have to say about us! "Very Satisified, exceeded my expectations. 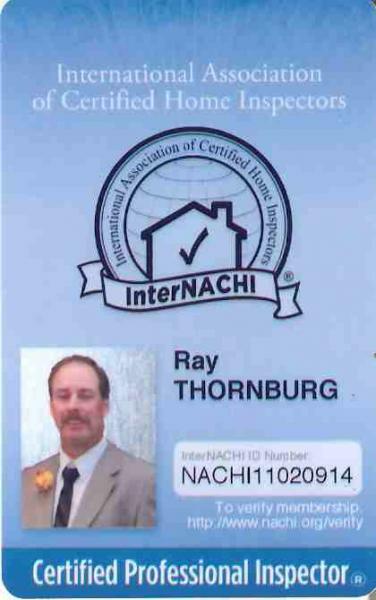 We were very pleased with our experience with this inspection company and Ray. He was very accommodating when our inspection had to be rescheduled twice due to weather. He was on time and got to work right away. He was extremely thorough and found things that we didn’t even notice during our showing. He provided tips and suggestions on how to fix minor issues and provided those suggestions in the report as well. The Home inspection report was very detailed and was sent to us promptly on the same day. We had a great experience and would definitely recommend to other buyers!" When you're ready to schedule your home inspection just call, email, text, or submit the Scheduling and Customer Information form. It's Easy! Check out our educational blogs and join the discussion on a variety of construction and inspection related topics. We'd love to hear from you or other professionals on any of the topics we discuss. For newcomers to the Charleston area these links might be helpful. Charleston City Paper - Tells what's happening in Charleston today and where to have fun. Find out about plays, art festivals, club scene, music concerts and more. Home Phone Co. serves the Berkeley Co. Moncks Corner area. National Clandestine Laboratory Registry - Find out if your property is listed as a former meth lab. Such property can be toxic. EPA List of Water Contaminants and their MCL (maximum content level) - Helps you understand water testing lab results.